Police have arrested the man wanted for the brutal murder of an 85-year-old woman in East Mount Airy last week. U.S. Marshals arrested 37-year-old Leroy Wilson on 300 block of Brown Street in Norristown, Montgomery County on Saturday morning at the home of his girlfriend. 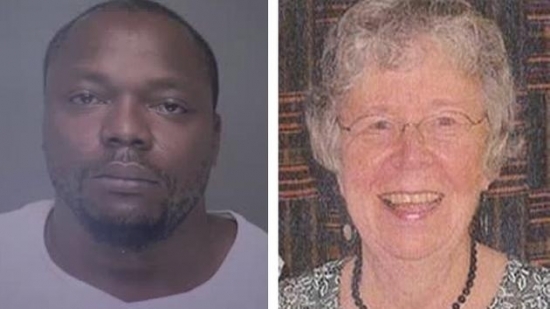 He was charged in the murder of Regina Brunner-Holmes who was found beaten, stabbed, and with her throat slit in her home on the 300 block of Roumfort Road on Monday. Wilson was known as a handyman in the victim's neighborhood and had done work for Brunner-Holmes. Police believe she let him into the house and caught him stealing something inside. That led to the brutal attack. Wilson used her credit cards to make online purchases and attempted to use an ATM. Police tracked those to find her stolen car and her laptop, both of which have DNA evidence pointing to Wilson. A man is dead after being shot over a dozen times in West Philadelphia. It happened at 8:45 p.m. Saturday in the 1700 block of South 53rd Street. The unidentified man was taken to Presbyterian Hospital and pronounced dead t 8:53 p.m. No arrests have been made. Police are still investigating. A a 22-year-old man from Yonkers, New York, drowned down the shore on the 4th of July in Ocean County, NJ. The man was swimming with friends around 2:35 p.m. when he disappeared from sight in Mantoloking. The US Coast Guard, NJ State Police and local fire crews searched the waters. After about 30 minutes lifeguards found the man unresponsive and brought him to shore. He was given CPR and taken to Brick Hospital where he was pronounced dead. The investigation continues.